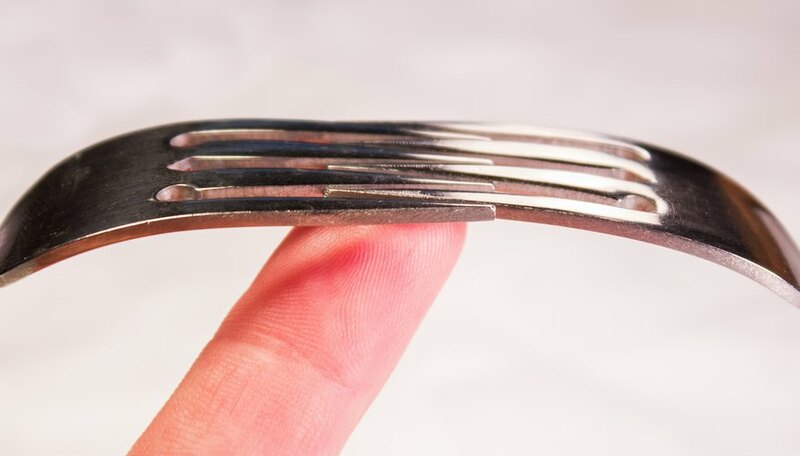 Although it is entirely based on science, the trick of balancing two forks on the rim of a glass using only a toothpick to hold it together will seem amazing to many people. This feat is accomplished by paying attention to the concept of the center of gravity, or the spot where weight is exactly balanced on all sides. If the center of gravity of two forks and a toothpick is over the rim of a cup, the entire structure will stay balanced. Wedge the heads of two forks together by interlocking their tines. If you are in a setting where you would have to borrow another person’s fork, you could use a spoon and a fork instead. Just position it so the middle tines of a fork are on the front of the spoon’s head and the outside tines are on the back. Balance the forks on your fingertip to find their center of gravity. The forks should be able to easily stay balanced when they are supported at this point. Insert a toothpick horizontally between the tines of the fork near the pair of utensils' center of gravity. 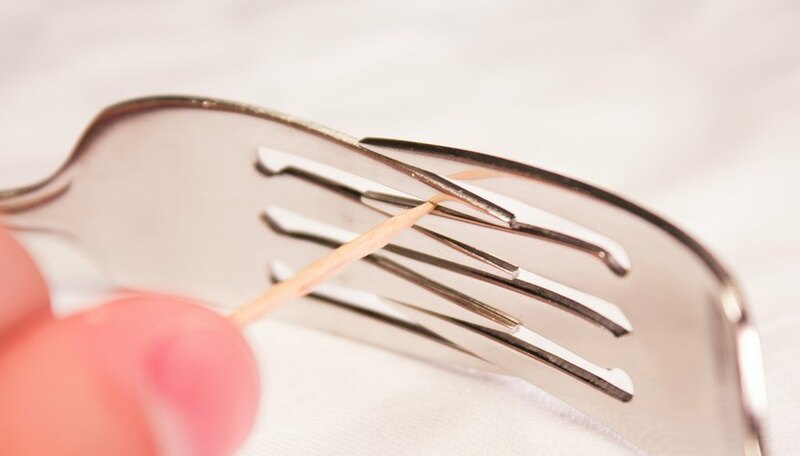 The toothpick should be wedged securely into the fork, and you should now be able to balance the whole contraption on your finger by touching only the toothpick. Balance the toothpick horizontally on the edge of a glass. The heads of the forks should be pointing away from the glass, and the handles should be on either side of the glass. This is the most difficult step of the trick and may require some trial and error to get the toothpick to balance. Light a match and set the end of the toothpick in the center of the glass on fire. This should burn away the toothpick right to the edge of the glass, at which point the cool temperature of the glass will put out the fire. The forks will remain balanced on the toothpick. This trick can also be performed with an additional toothpick and a salt or pepper shaker instead of a glass. Just insert a toothpick in one of the holes of the salt or pepper shaker so the toothpick is pointing straight up. 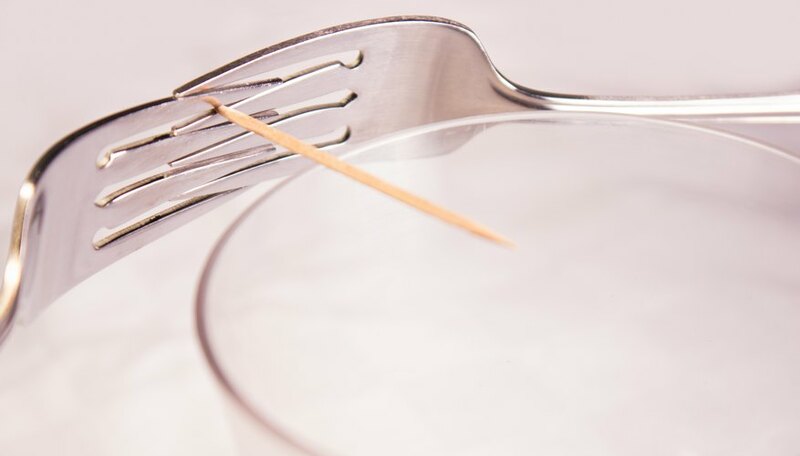 Then insert your other toothpick into the two forks so the toothpick is pointing directly down from the center of gravity. 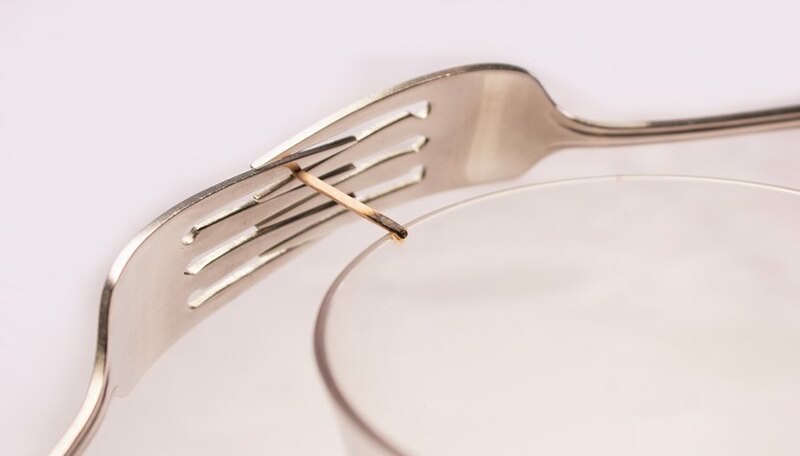 Now you can balance the toothpick with the forks on the tip of the other toothpick, and if you get it perfect, even spin the forks around like a propeller without them falling.